The Company Corporation is one of the oldest incorporators in business today, having been in the industry since the 1899. They’ve been doing online incorporation since the web was still in its infancy. Long history aside, is the Company Corporation the best choice for forming your LLC? All LLC packages include $50,000 in Corporate Veil insurance at no additional cost. Solid reputation, have been around for over 100 years. All packages include expedited filing. Toll-free number with actual people answering, even on Saturday. More expensive than some other incorporators. Cheapest package is $99 + state fees. EIN filing service is $75, which is also more expensive than most competitors. You can’t go wrong using Company Corporation to form your LLC. It’s possible that you could save a few dollars by going elsewhere and carefully picking which services to pay for and which to do yourself. However, if you just want it done right the first time, without hassle, and don’t mind paying maybe an extra $50 or $100, then Company Corporation is the way to go. I went through their website from homepage through order page, looking at it not as a webmaster or expert, but as a small businessperson who wants to protect my assets, lower taxes, and increase credibility without too much expense or hassle. You come upon the homepage and a lot is going on. You’ve got a large square in the middle talking about a $50,000 guarantee with a picture of a man in a hardhat holding blueprints. Is he going to build you a $50,000 house? If I hadn’t already read the entire site, I’d have no idea what this $50,000 guarantee was or why I’d want it. Company Corporation offers a $50,000 guarantee that will pay your legal defense costs if your corporate veil is ever pierced. If you use Company Corporation to form your LLC, then if a creditor ever tries to pierce the LLC’s corporate veil, Company Corporation will pay up $50,000 in legal defense costs. As with all “insurance” policies, there’s probably a lot of fine print to read, so look over it carefully. Pricing is higher than the typical online service. The most basic package, called the economy package, costs $99 and includes the Corporate Veil Guarantee, expedited filing service, six months of Registered Agent service, and six months of Compliance Watch.The six months free of Registered Agent service is only useful if you aren’t serving as your own registered agent, using either your business office or home address. If you are acting as your own registered agent, then this feature is of no use, though they’ll try to get you to sign-up because after the six free months, there’s a charge. If you’re going to be your own registered agent, then be sure not to subscribe after the six free months are over. Check here for an article on registered agent service and when you need to pay for it and when you can do it yourself. Now, Compliance Watch is useful, because it reminds you of important ongoing dates, such as filing annual reports for your LLC. Several states require annual reports, along with a fee, to be filed each year. Compliance Watch will remind when those dates arrive. A useful service. They give you six months free, and after that there will be some charge. They don’t clearly disclose the charge upfront, so the idea is to get you hooked on the convenience and then you won’t complain about the price six months down the line. The other expensive addition is the EIN filing service for $80. 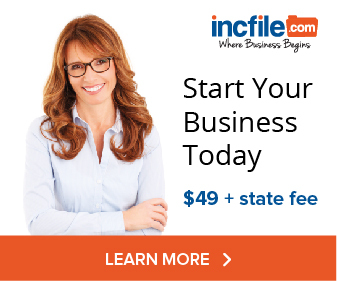 If you choose not to buy the Basic package that includes EIN filing service, then read here to find out how to file for your company’s EIN yourself if you want to save the $80. 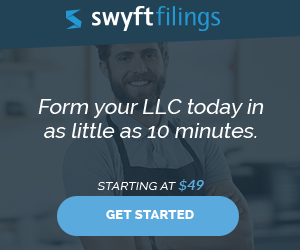 Ordering your LLC at Company Corporation is fairly simple. You select your entity, state, and package it computes the price automatically. The rest is fairly self-explanatory. Fill out your name, address, and so on. If you’re having trouble with using the online form, you can call toll-free at (800) 818-0204. They’re even open Saturday, which is nice if you’re starting your small/home business on the side and don’t want to call from work.Company Corporation is a bit pricier than some competitors, but you can trust that they’ll get the job done right. To minimize costs, pick the Economy Package, and use these instructions to file for your Employer Identification Number (EIN). All the other add-ons are strictly optional, but you will need an EIN for your business. ptional, but you will need an EIN for your business.